My name is Axel Boilesen. 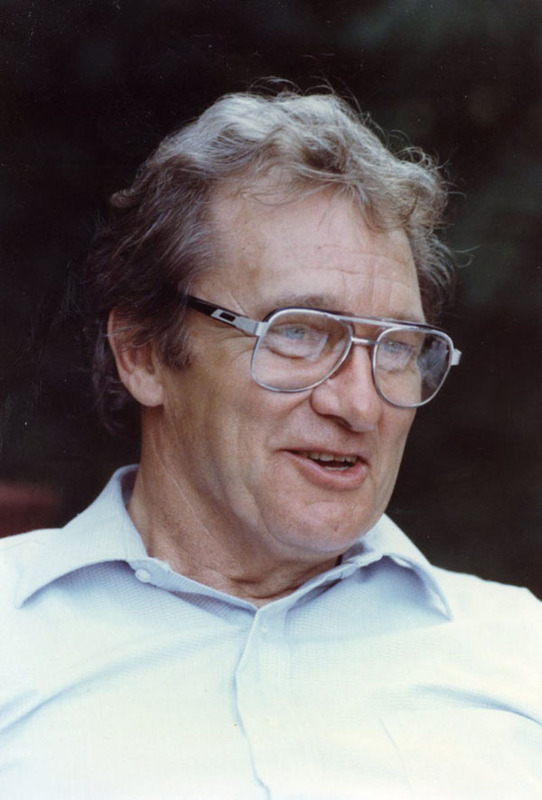 I was born on a farm near Cotesfield, Nebraska on April 18, 1923. When I was a little boy we had an Edison Amberola, which I think was a Model 30, that was tucked away in a bedroom closet. 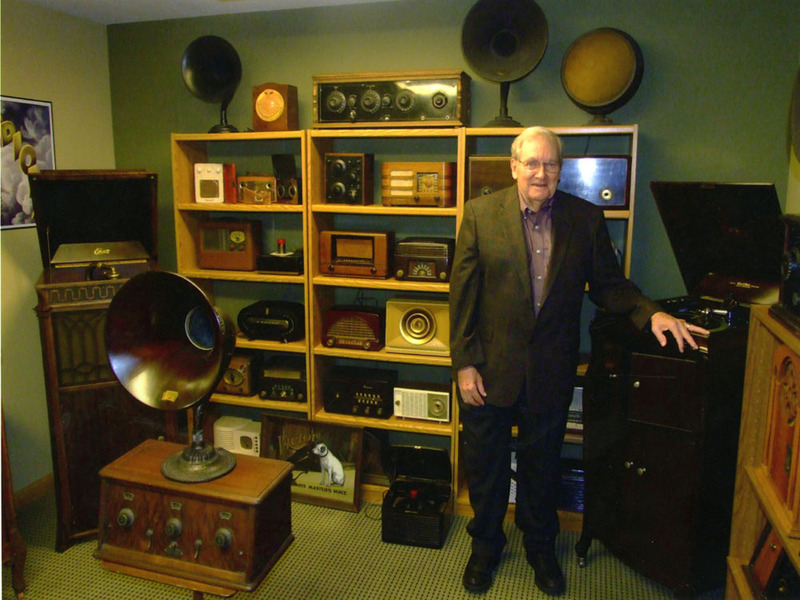 I never saw it in the parlor as we had a radio and if there was going to be any entertainment, it usually came from the radio. But I do remember my older sisters getting the Edison out from time to time and dancing around the bedroom. The Jolly Coppersmith was a song I can still hear playing. We didn't listen to it very often but the Edison always worked very well. My grandmother also had a phonograph in their home, a large upright disc model which might have been a Brunswick. 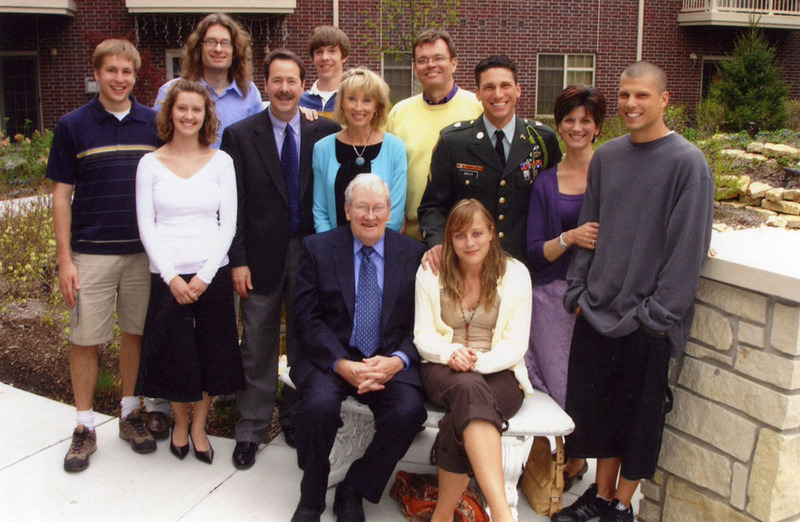 I still fondly remember her sitting in her rocking chair with me on her lap listening to the phonograph together. 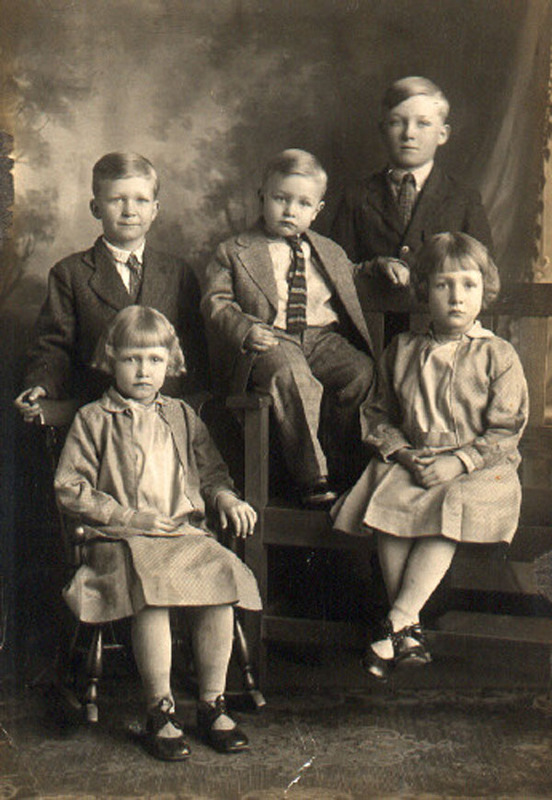 Axel as a litle boy (center of picture) with brother Lester on his left, Floyd on his right and his two sisters, Lois and Fern. (circa 1927). When World War II began there were paper drives and scrap iron drives and other activities to support the war effort. My Dad had alot of scrap iron and machinery parts around the farm and he was very willing and proud to donate all that he could. 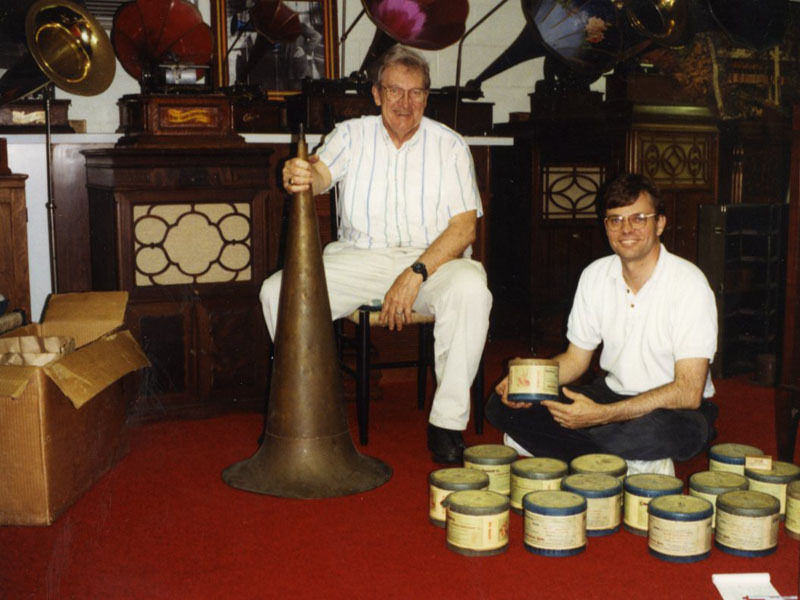 Included in those war-time donations was our Edison Amberola. 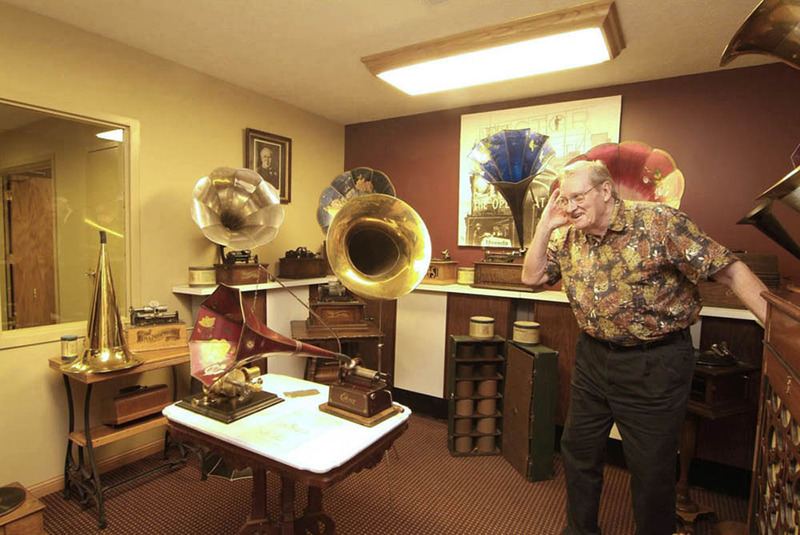 It was said that donating phonographs would help entertain the troops and I think my Dad believed that our Amberola would make it to some USO or army camp site. 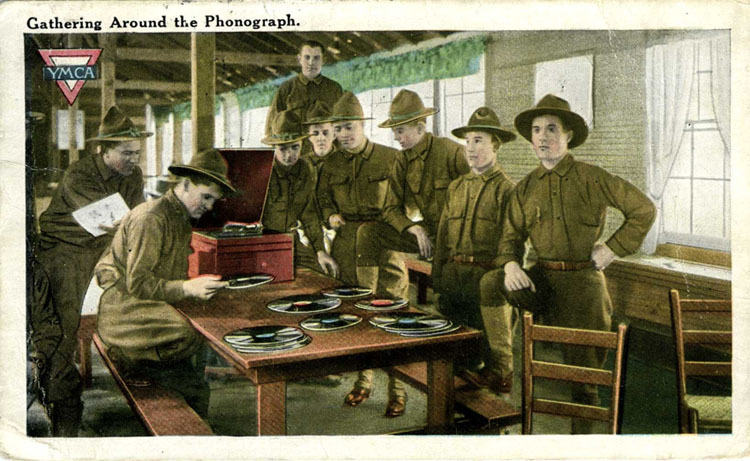 1919 postcard showing US Army personnel listening to a disc playing "Victrola"
Looking back, it seems unlikely our Amberola ever played music for any soldier in the 1940's. 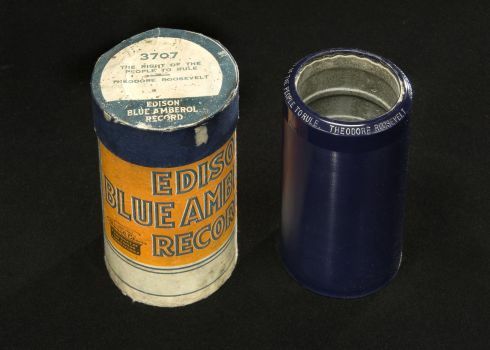 By 1942 Edison Blue Amberol cylinder records, the record format used by an Amberola, hadn't been manufactured by anyone in over 14 years so the music selection of an Amberola would have been very limited and dated. But if our Edison did survive the army's scrap pile I'm sure it's still hammering out those "la la la's" of the Jolly Coppersmith. 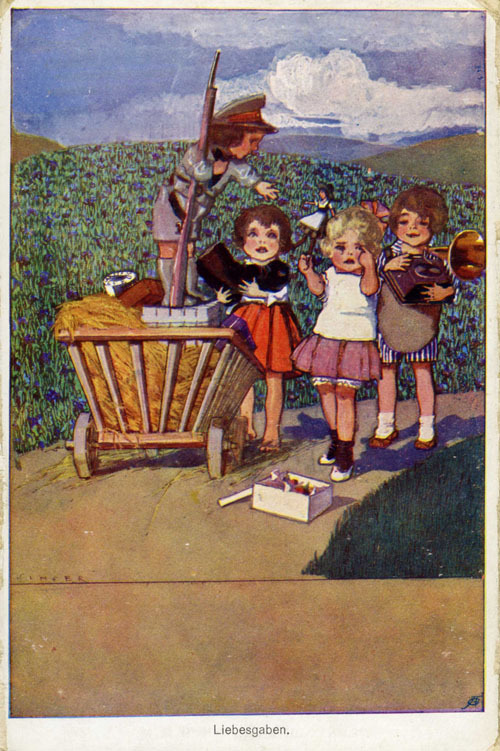 Children participating in a World War I war-time drive to support their troops (including the donation of a gramophone). 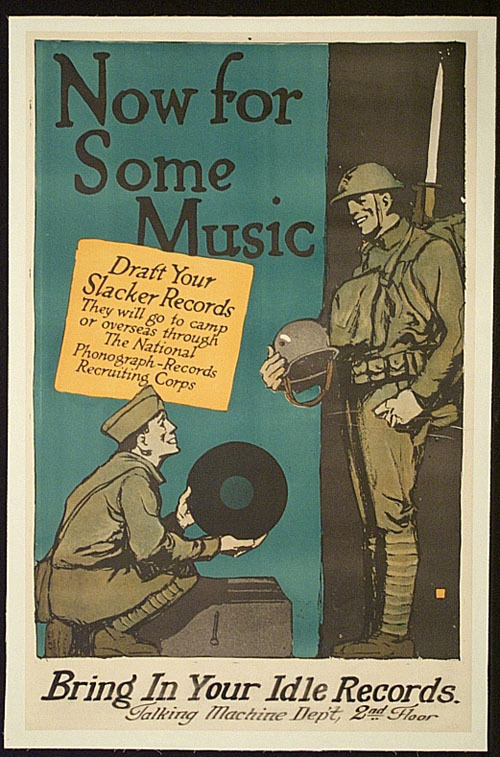 This poster was displayed in a Department store in 1918 to support World War I American troops by bringing in unusued records. 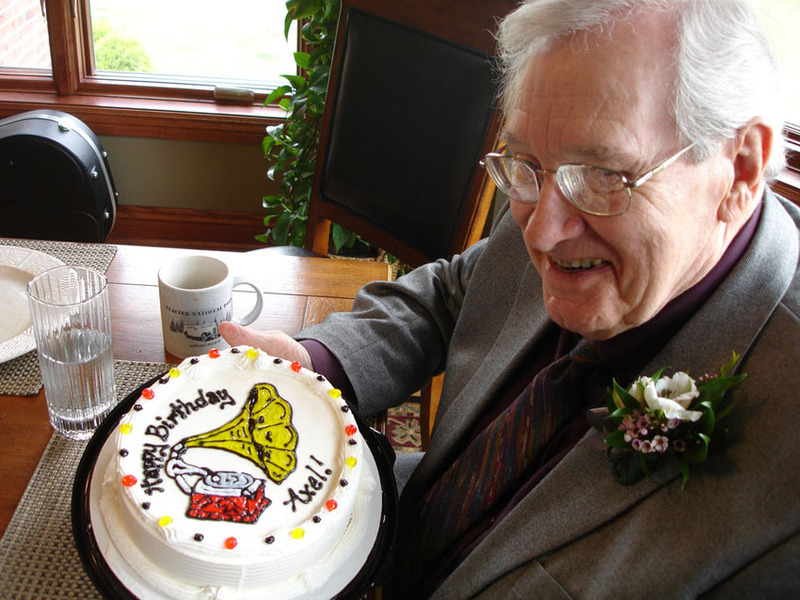 The artist of the poster was C.B. Falls. 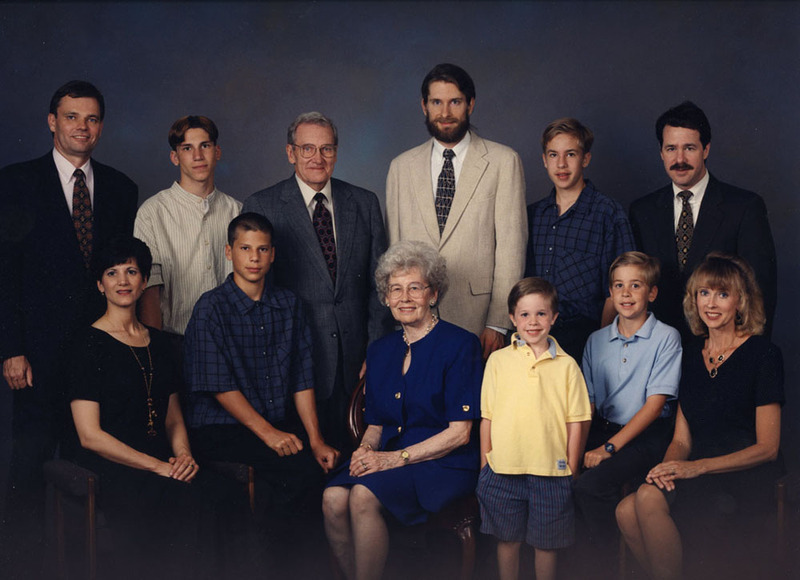 Growing Up - What did we do for entertainment? Axel Boilesen, a Friend of the Phonograph, celebrating his 87th Birthday.